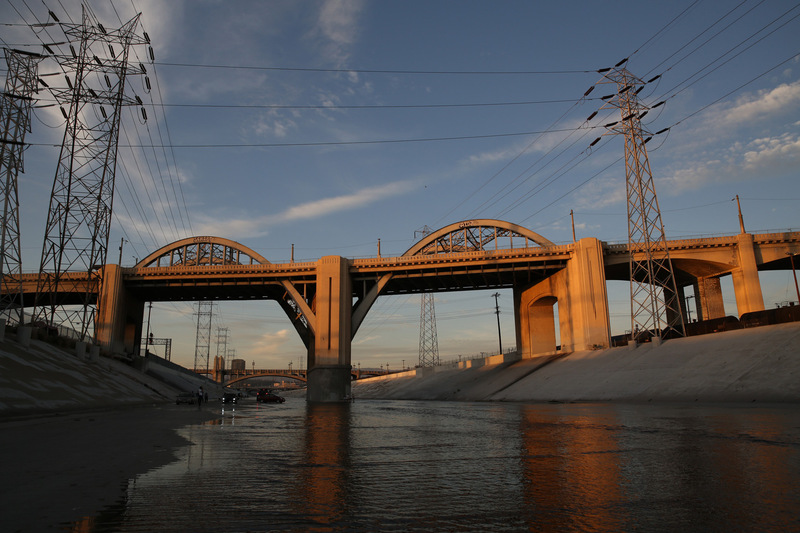 The concrete river bed near the old Sixth Street Bridge, which was demolished due to irreparable deterioration. The viaduct connected the Latino communities to the east to downtown. A sleek new bridge with paths for bikers and pedestrians will replace it. One of 10 distinctive bridges built across the river during the late 1920s and early 1930s, it was an iconic site for filming movies, television shows, music videos .